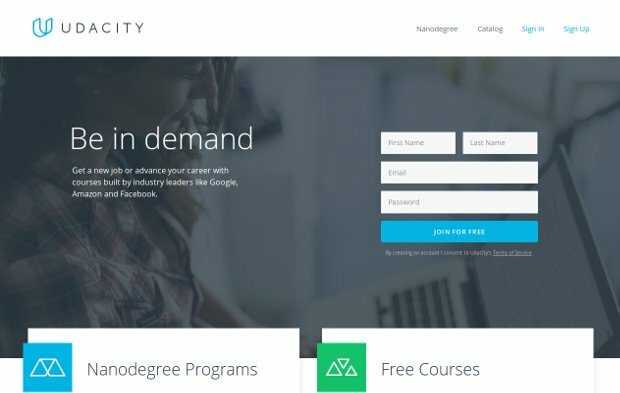 The mission of Udacity is to bring accessible, affordable, engaging, and highly effective higher education to the world. They believe that higher education is a basic human right, and that it should be less passive listening (no long lectures) and more active doing. Education should empower students to succeed not just in school but in life. They are building an online university, “by Silicon Valley”, that teaches the skills that industry employers need today, delivers credentials endorsed by employers and educates at a fraction of the cost of traditional schools. Together with industry giants—Google, AT&T, Facebook, Salesforce, Cloudera, —they offer Nanodegree programs and credentials, designed so that professionals become Web Developers, Data Analysts, Mobile Developers, etc. Their students acquire real skills through a series of online courses and hands-on projects.